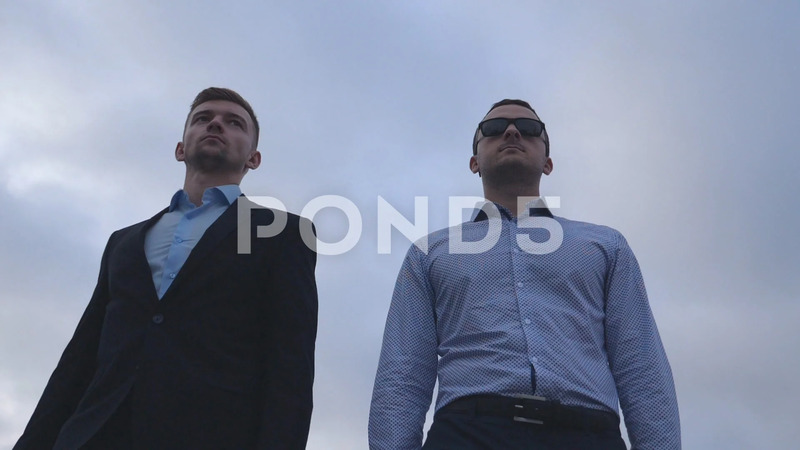 Description: Two young businessmen walking in the city with blue sky at background. Handsome coworkers commuting to work together. Male colleagues going outdoor. Low angle view Slow motion Close up.